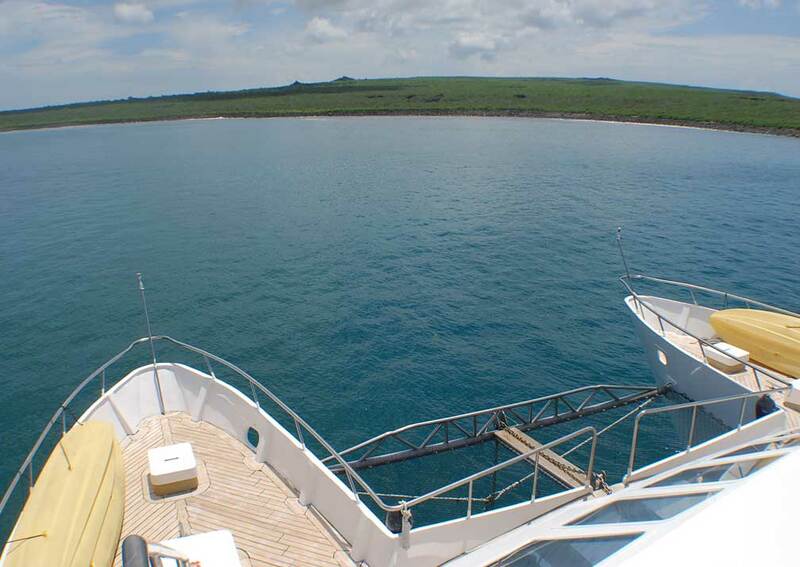 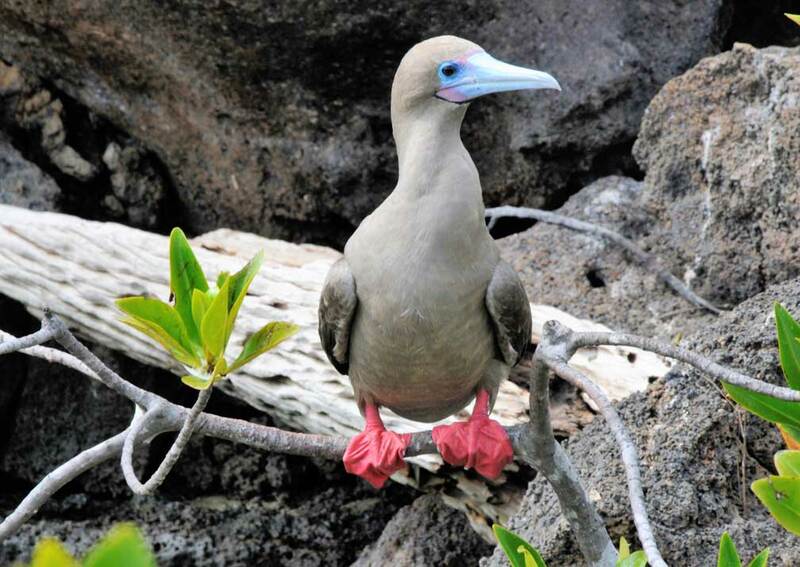 With large cabins and expansive decks, Anahi is an attractive choice for your Galapagos cruise. 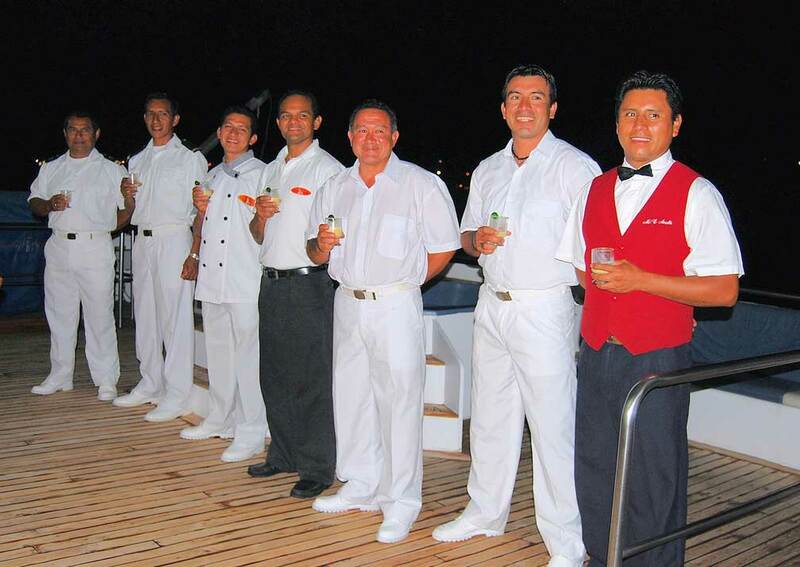 You’ll be attended by the helpful crew who’ll do all they can to make your stay memorable. 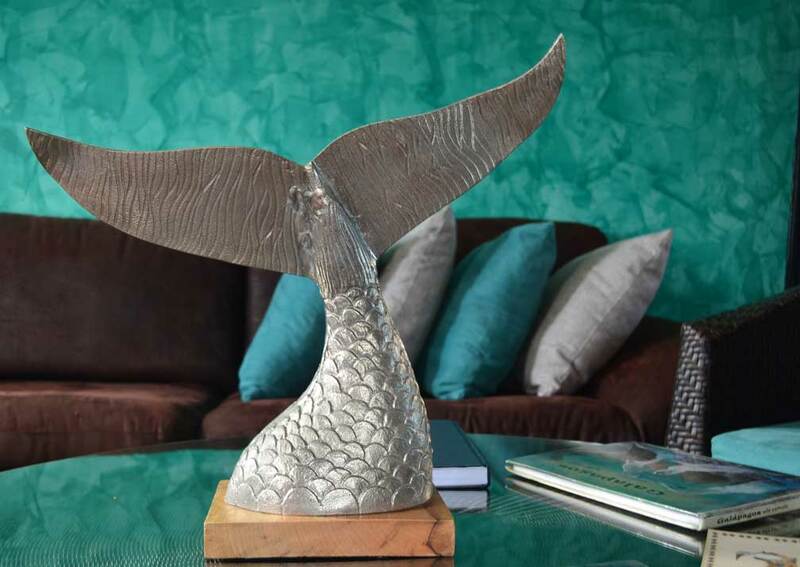 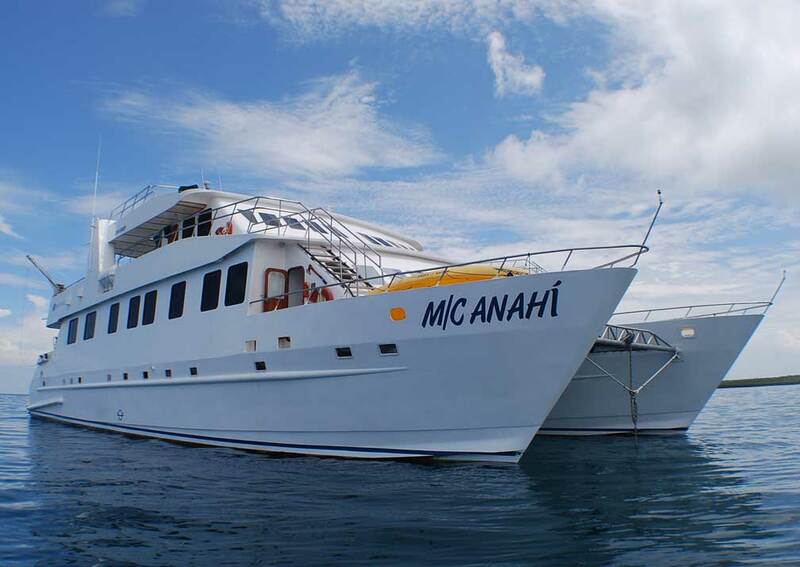 Anahi was built in Guayaquil, designed to cruise the waters around the Galapagos Islands. 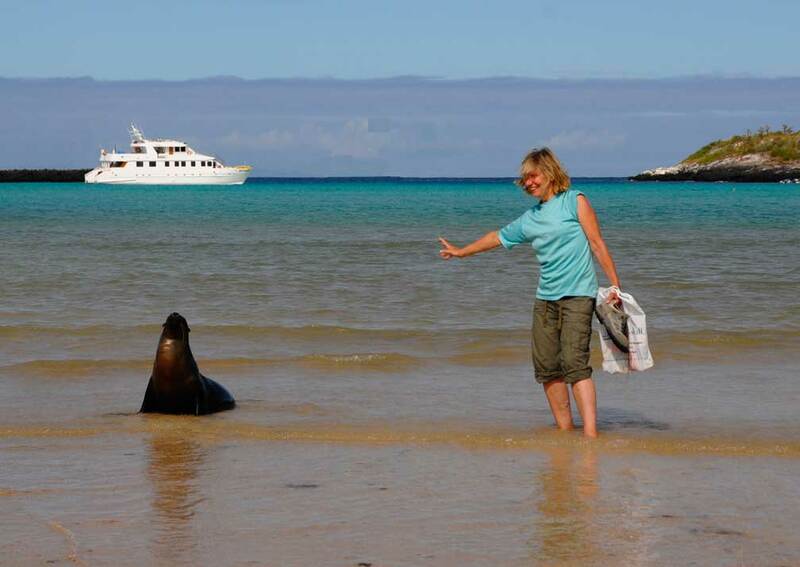 She offers a smooth ride. 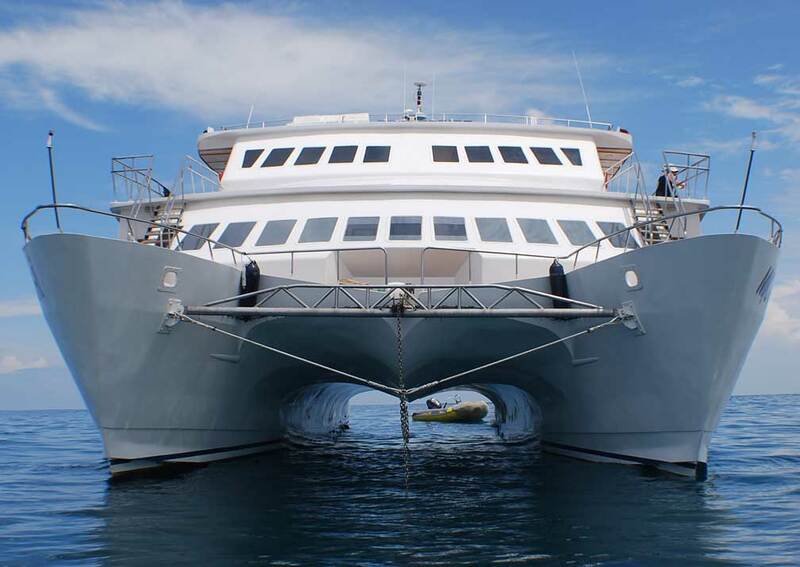 There are 6 cabins and 2 suites, all with picture windows and private bathrooms. 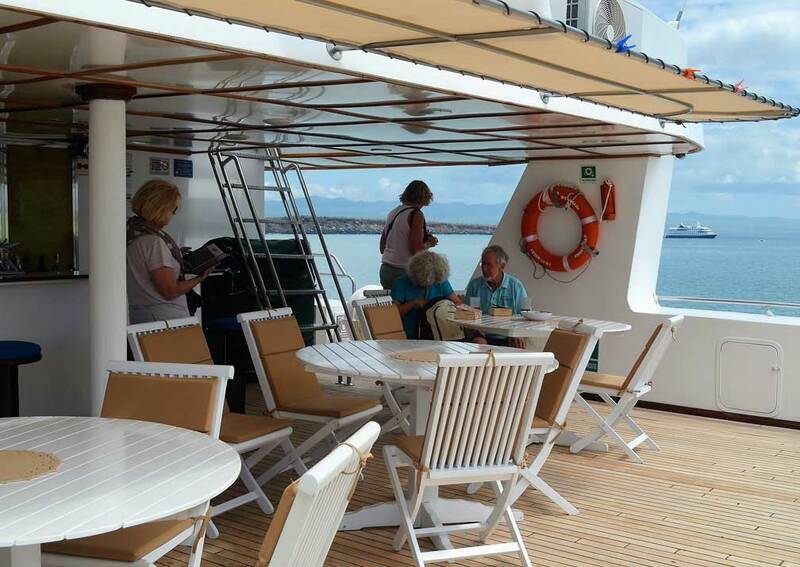 There’s lots of space on the main deck where you can mix with other passengers, browse through a book or watch a DVD. 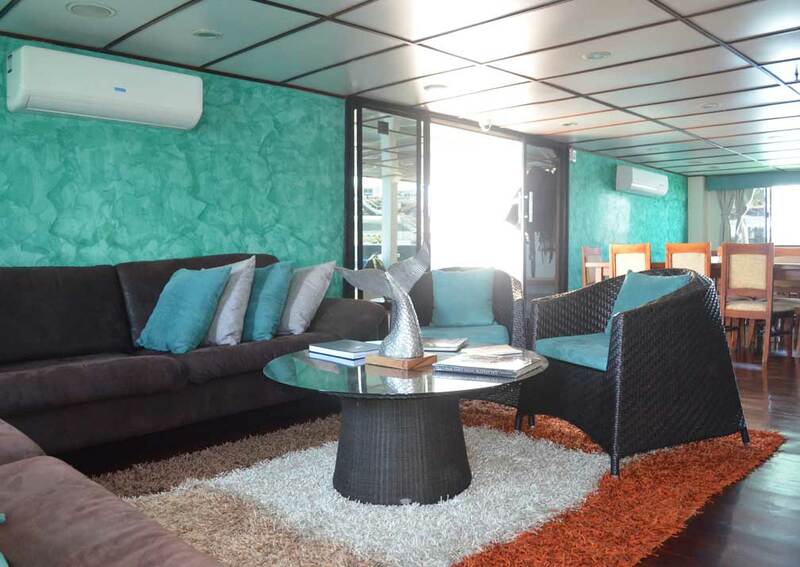 The upper deck has an outdoor bar and shaded seating plus a jacuzzi, ideal for lazing between land visits, while the top deck is the prefect place for sun lovers to bask in the heat. 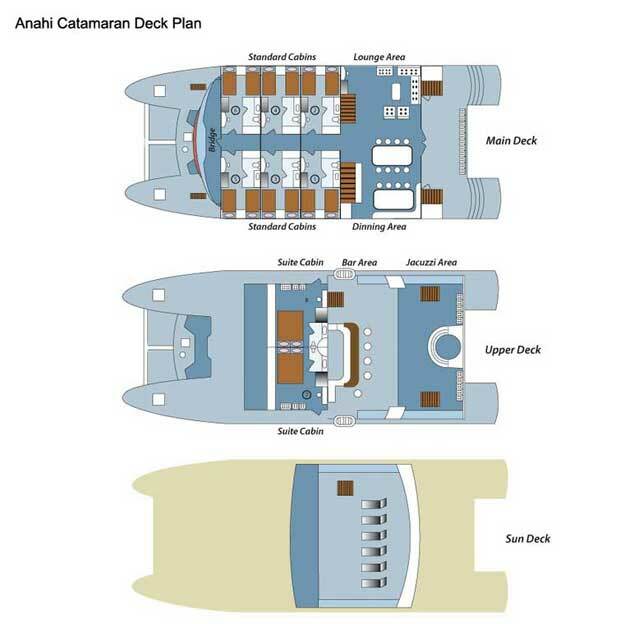 There are 2 superior staterooms of 25 square metres each, on the upper deck (no.s 7 & 8). 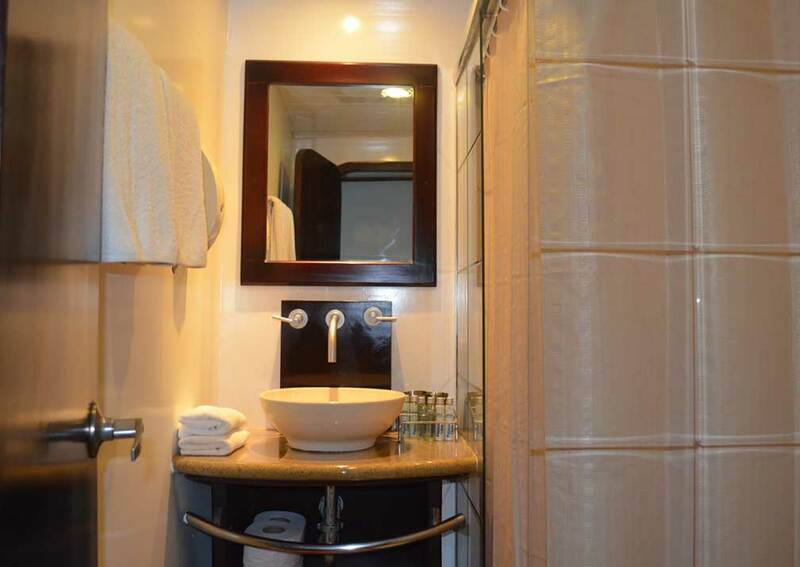 Each has a king size bed, large window, closet, hairdryer, safe, air conditioning and private shower room with hot and cold running water. 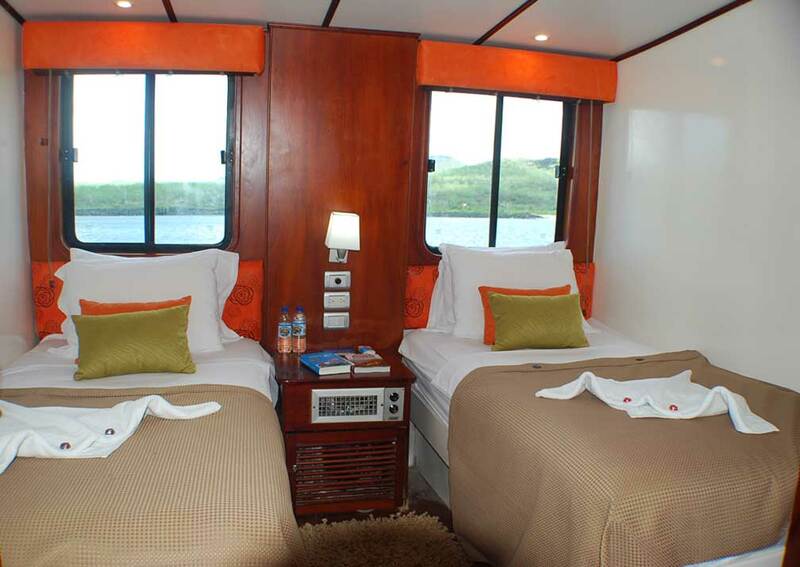 There are 6 standard cabins (no.s 1-6) of 14 square metres with 2 twin beds each on the main deck, 2 of which (no.s 5 and 6 at the bow) can be converted to doubles. 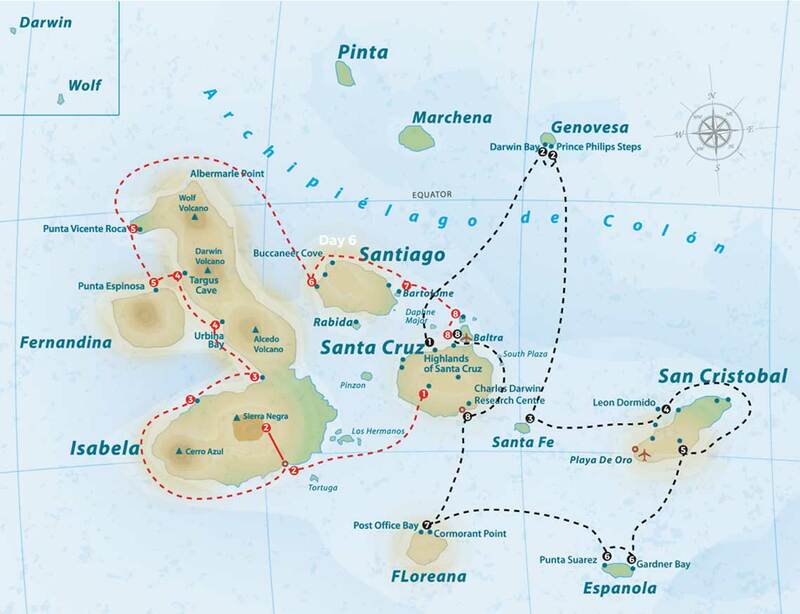 All are air conditioned, have large windows, a safe, closet, hairdryer and private bathroom with hot and cold running water. 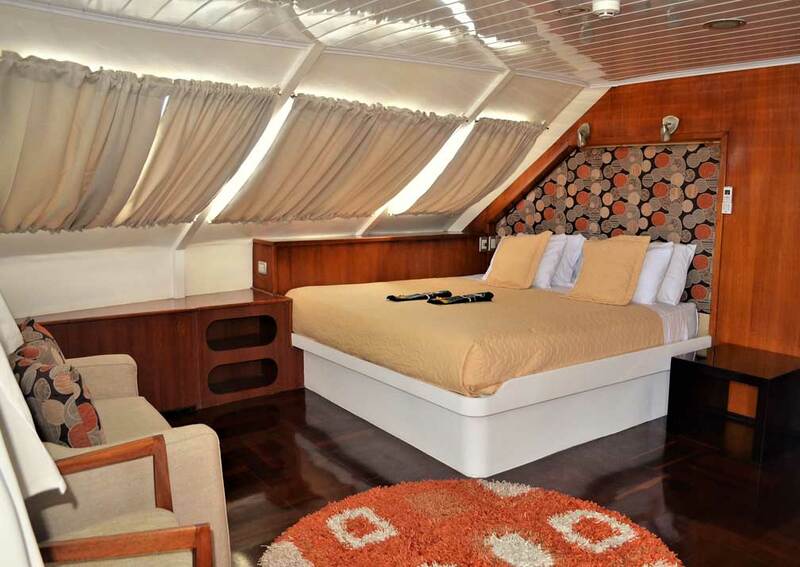 Accommodation: Main Deck: 6 cabins with twin beds; Upper Deck: 2 suites with double beds. 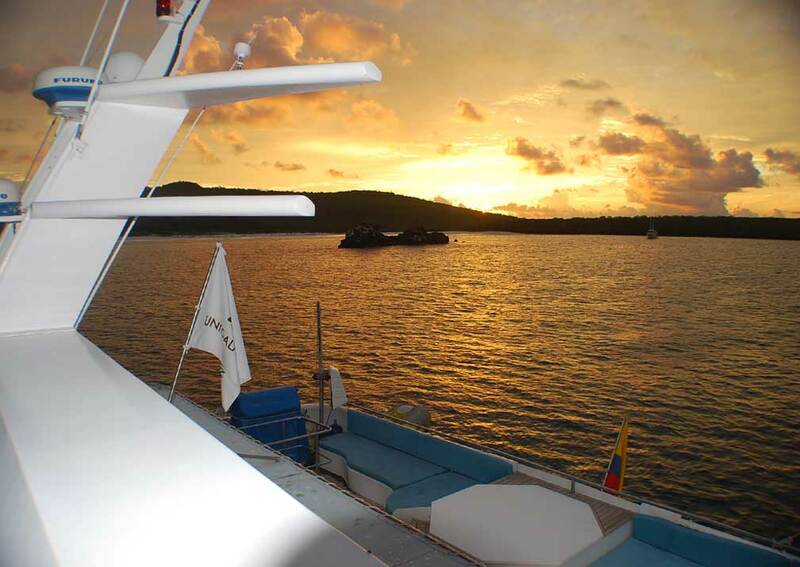 All are air conditioned, have panoramic windows and private bathrooms. 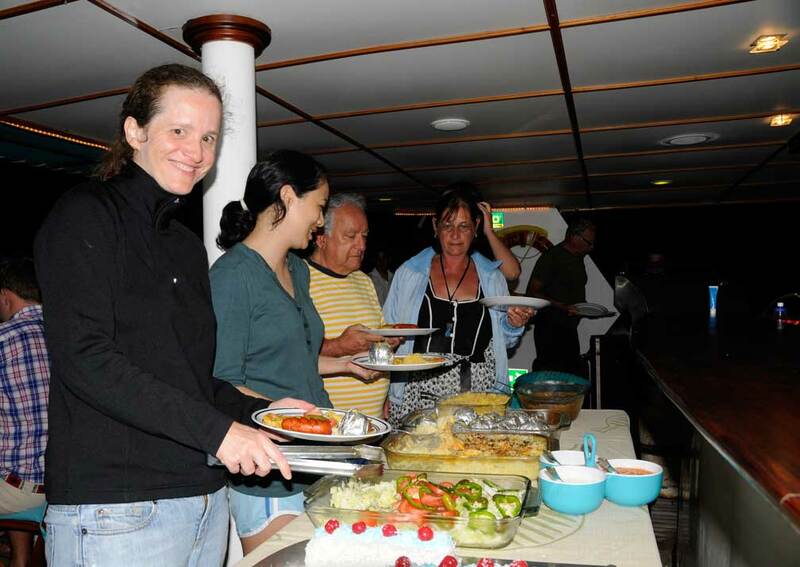 On Board: Dining room, bar and lounge on the main deck deck, outside seating, bar and jacuzzi on the upper deck and loungers on the sun deck.